WHAT: SHIPWRECKS | WHERE: AZORES, PORTUGAL | SURVEY: 1996-1998 | DATE OF WRECK: 16TH-20TH C. A.D. The Azores, a group of islands rich in history off the Atlantic coast of Portugal, have been the setting for whaling, commerce, naval battles and exploration since Medieval times. A substantial submerged cultural record of the Azores’ maritime history lies beneath the waters off the various islands. 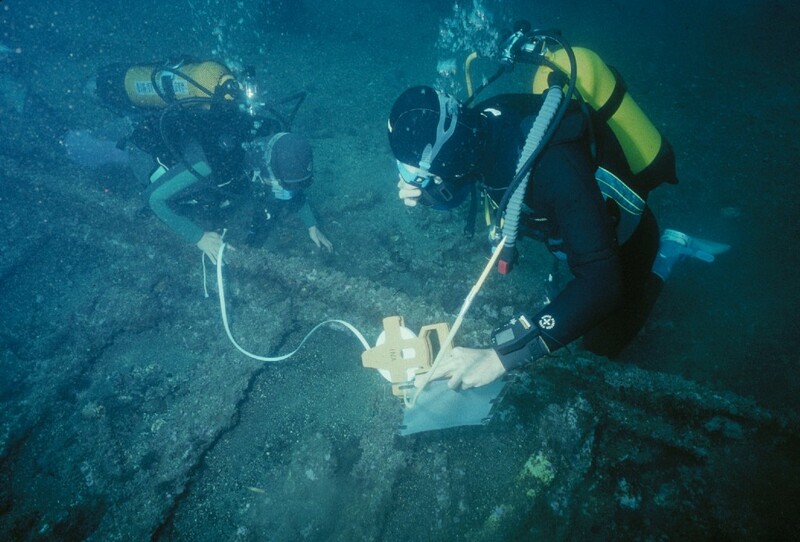 Beginning in 1996, a survey by Kevin Crisman (INA) and Arthur Cohn searched the waters of Angra Bay, Terceira Island and the coast of Terceira. 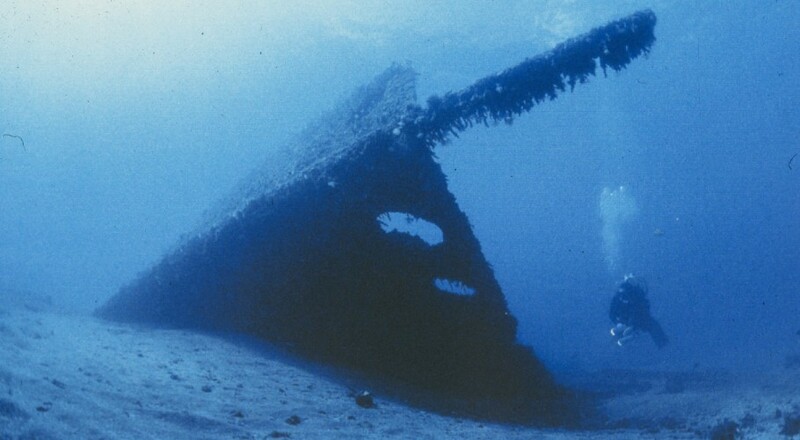 In 1998, a joint INA-Dirreccao Regional da Cultura (DRC – Azores Cultural Ministry) shipwreck survey examined the waters around the islands of Faial, Pico and Sao Jorge that continued through 1999. That same year, INA began collaborating with the Centro Nacional de Arqueologia Nautica e Subaquatica (CNANS) of Portugal on excavation of early 17th-century Portuguese Indiaman at mouth of the Tagus River under direction of Filipe Castro, and in 2000, Dr. Crisman joined, as the INA representative, in a joint INA-DRC CNANS project to record an Iberian galleon of circa 1600 that lies in Angra Bay. This survey project documented a number of significant sites that are managed and protected by the Azorean and Portuguese governments. Crisman, K., “Crossroads of the North Atlantic: The 1996 and 1997 Angra Bay Shipwreck Surveys, Terceira Island, Azores,” the INA Quarterly 25.2 (summer 1998). Crisman, K., “Angra A: The Copper-fastened Wreck at Porto Novo (Angra do Heroísmo, Azores -Portugal),” Revista portuguesa de arqueologia 2.1 (1999), with B. Jordan. Crisman, K., “Angra B: The Lead-sheathed Wreck at Porto Novo (Angra do Heroísmo, Azores- Portugal),” Revista portuguesa arqueologia 2.1 (1999). Crisman, K., “Looking for Ships: The 1998 Central Azores Shipwreck Survey,” the INA Quarterly 26.1 (Spring 1999). Crisman, K. and Garcia, C., “The Shipwrecks of Angra Bay, 2000-2001,” the INA Quarterly 28.4 (Winter 2001). ABOVE: Archaeologists map a wreck (Photo: INA).